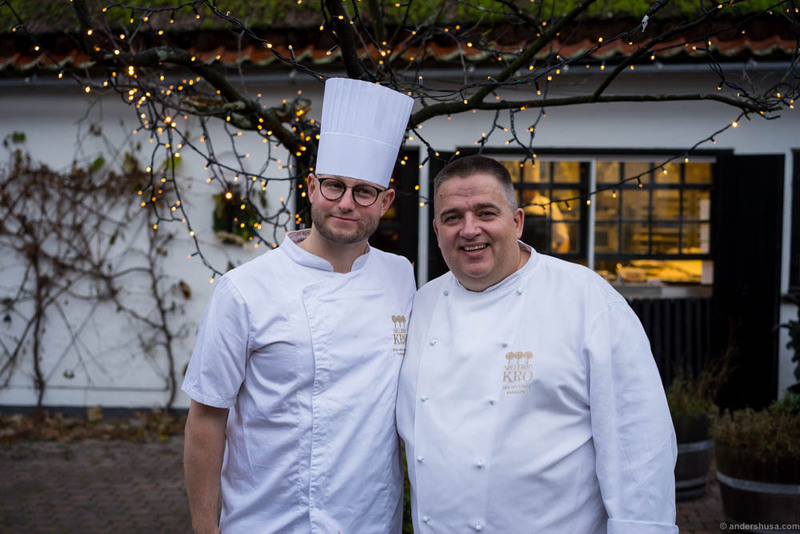 Søllerød Kro is a one Michelin star restaurant in a Danish tavern that looks straight out of a fairytale world. It’s located a mere 25-minute drive, or 45-minute train ride, north of Copenhagen. 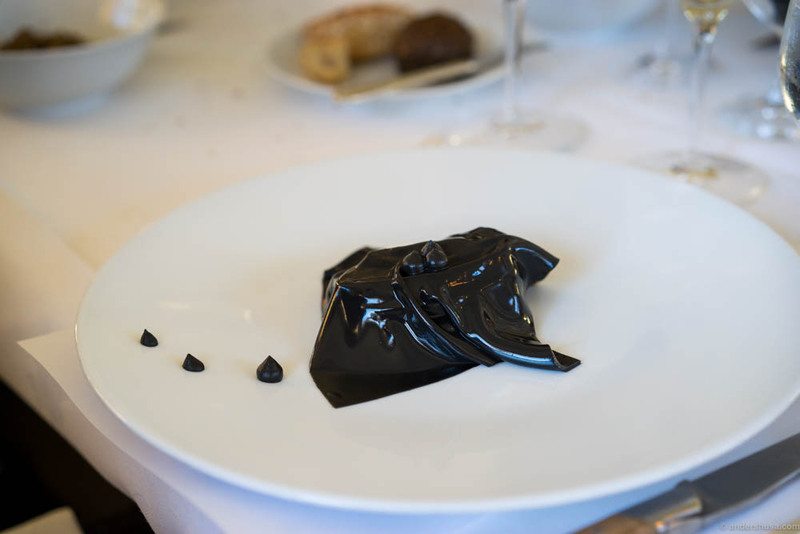 Forget any associations you might have about pretentious service and arrogant attitudes in Michelin restaurants. 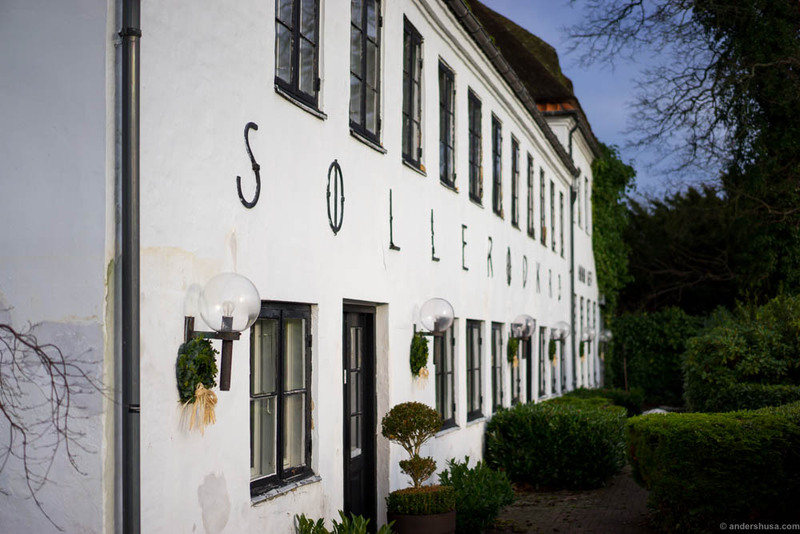 Søllerød Kro is an old inn where you’ll feel right at home. Thanks, more than anything, to the restaurant manager Jan Restorff. He refuses to use such fancy titles, though, and calls himself simply a host. Jan Restorff. The man. The legend. The perfect host. Søllerød Kro sure didn’t hold back on the luxury this day. 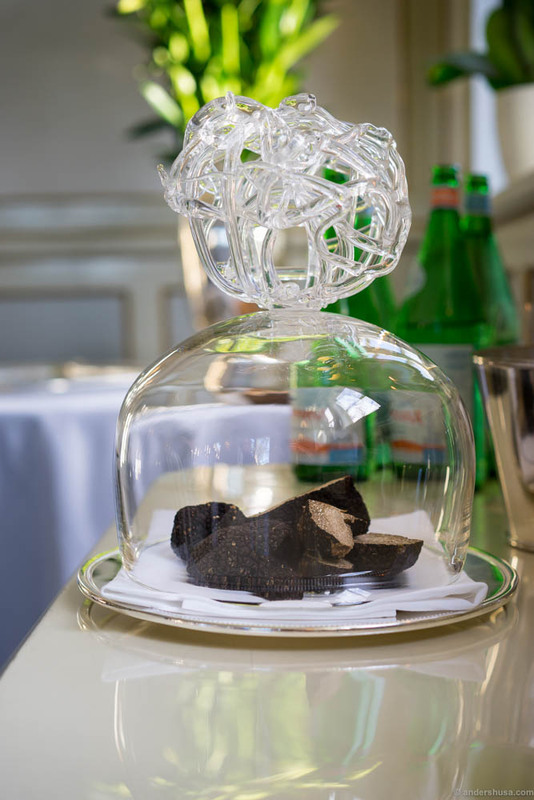 Truffle-mania has never been a more fitting word. 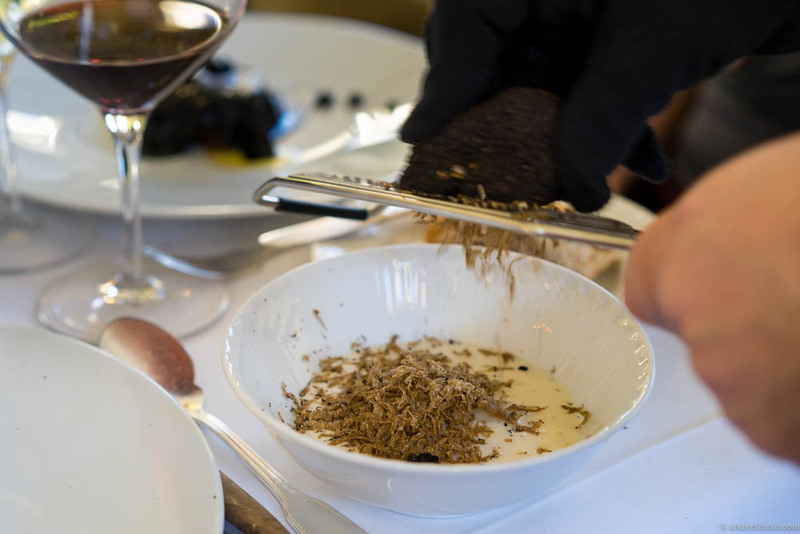 The table action on almost every dish was truffle shaving upon truffle shaving. 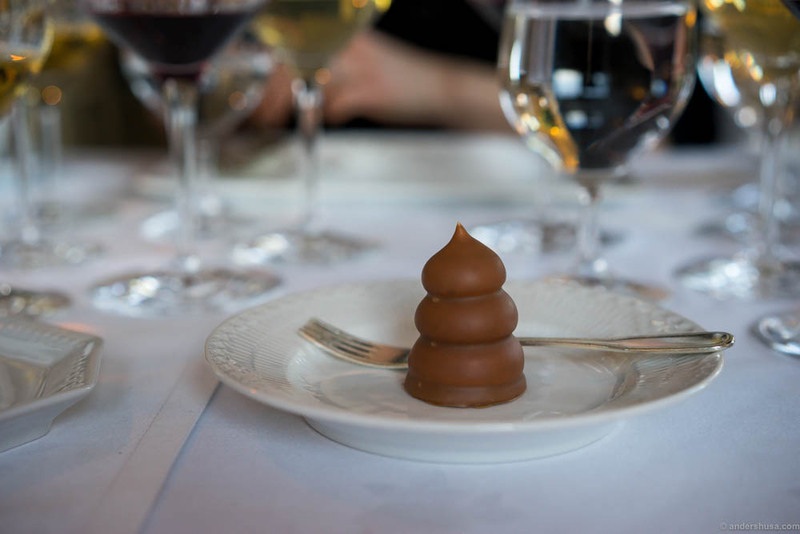 I was surprised that they didn’t shave truffles on our desserts. Despite the luxury ingredients, white cloths, and silver cutlery, the atmosphere could not have been more relaxed at Søllerød Kro. When our host, Jan Restorff, welcomed us with his arms wide open everyone dropped their guard. He patted his belly and blamed a love for food for both his size and happiness. Jan is the kind of guy you just have to experience. It’s hard to explain exactly how his presence fills the room with warmth and joy. He is the very epitome of great service. If you can read Danish I can recommend this article about him. The surprise is revealed. The box wasn’t completely filled with caviar after all, but hiding a layer of razor clams and a panna cotta with horseradish. 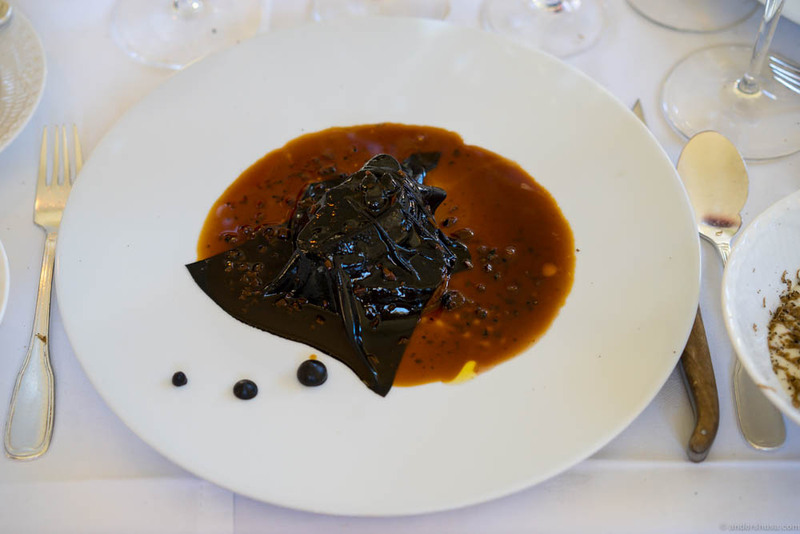 The first serving we got was a signature dish called Caviar en Surprise. 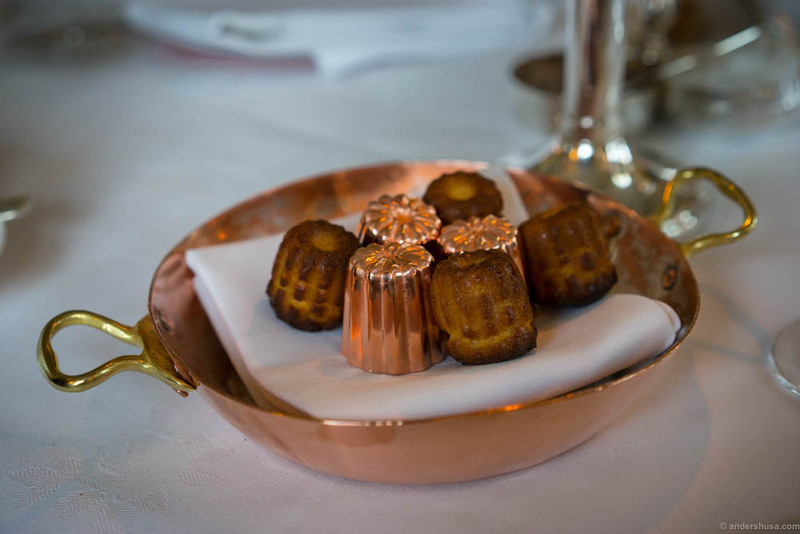 This surprise was created by former head chef Jacob de Neergaard. 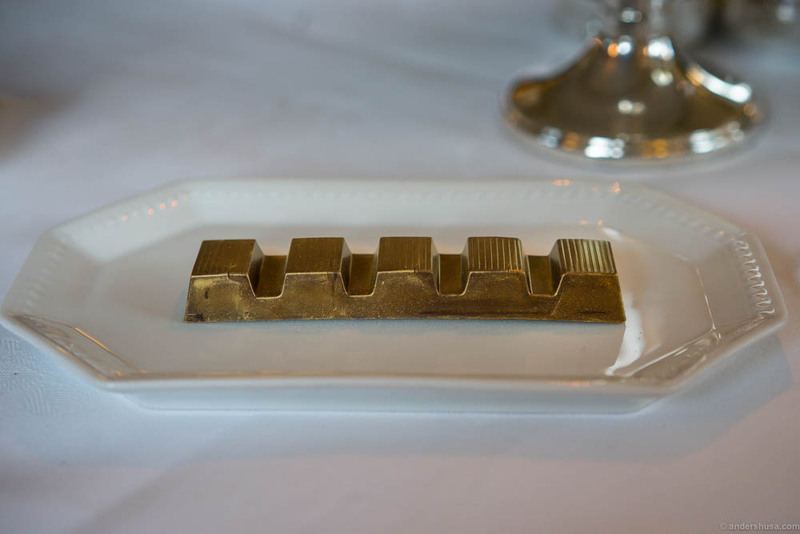 It was first served as a joke to Bo Bech of restaurant Geist, when he was celebrating with his colleagues at Søllerød Kro. 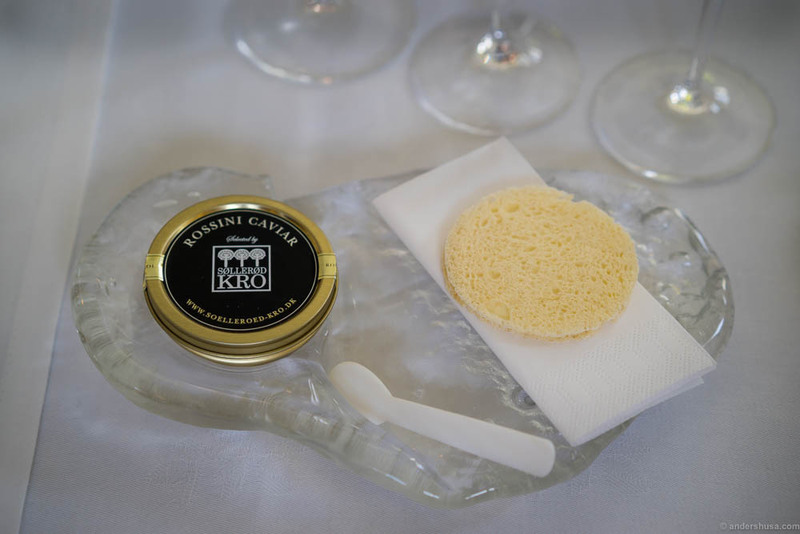 Upon serving, all the chefs thought they were getting a whole box of premium Rossini caviar. 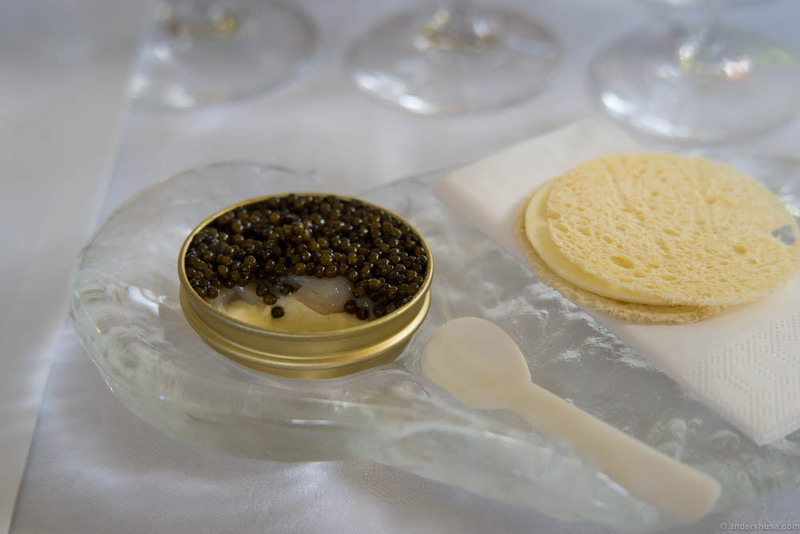 Although a generous amount of caviar, it’s actually just a top layer hiding other ingredients underneath. Hence the surprise! 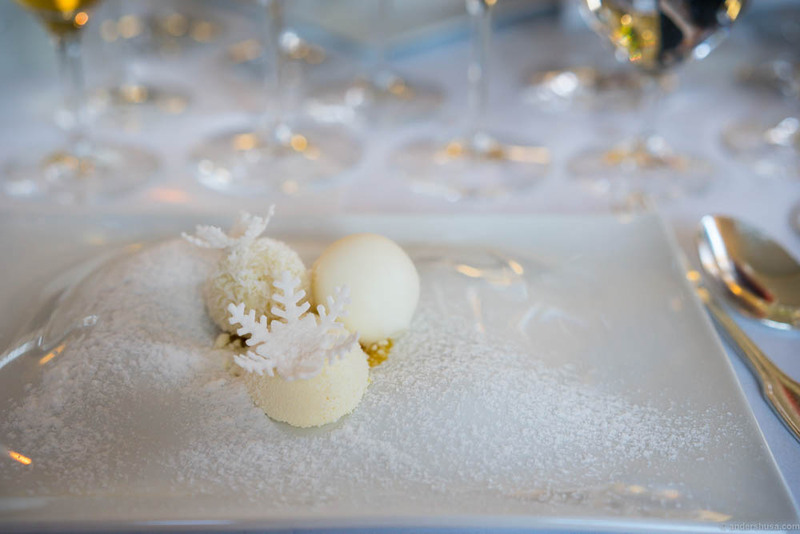 In our case, it was a horseradish panna cotta, and razor clams, but this changes with the season. My Danish friend, Feinschmeckeren, has made the original recipe with lobster on his blog. The struggle is real at Søllerød Kro! 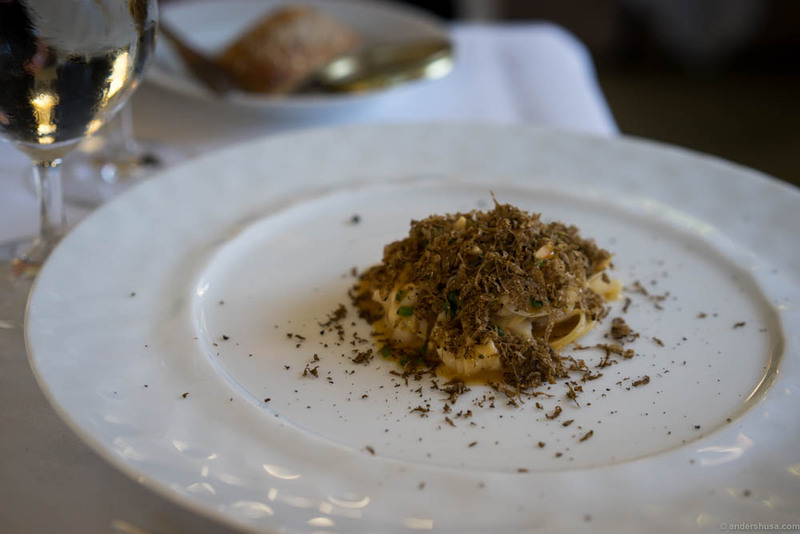 You will get truffle on almost every dish when it’s in season. Like my good friend, LuxEat, also points out in her visit at Søllerød Kro: This is not New Nordic cuisine, but it’s definitely one of the best kitchens in the entire country of Denmark. 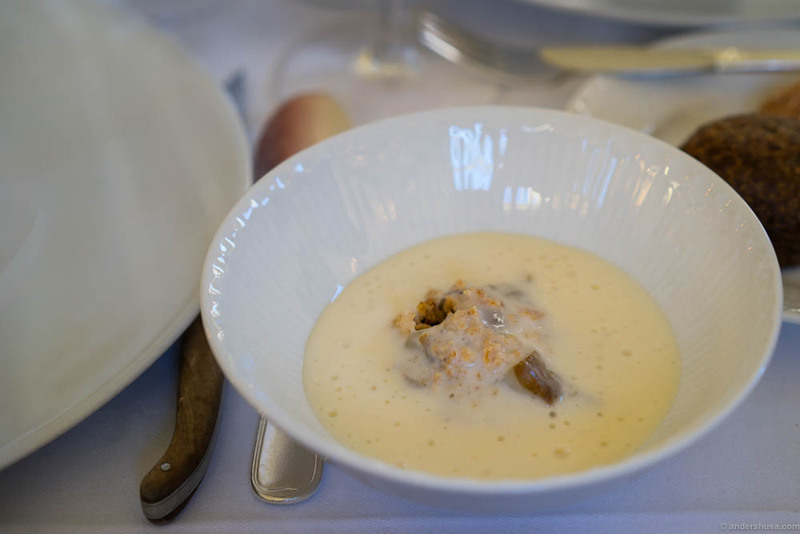 While most of the produce was local and seasonal, the style of cooking is more classical French than Scandinavian. 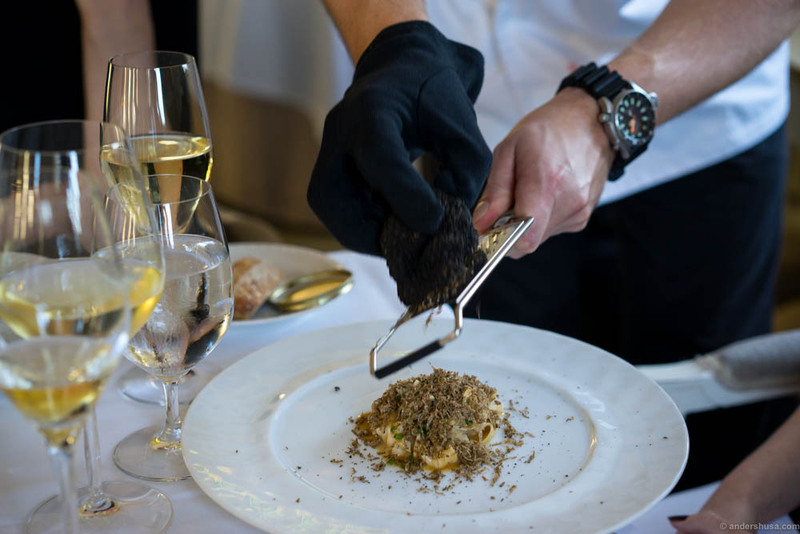 You won’t hear me complaining about foie gras, caviar, and truffles, though! French is often associated with traditional, but this is very much an up-to-date kitchen. Tournedos Rossini à la Søllerød Kro. 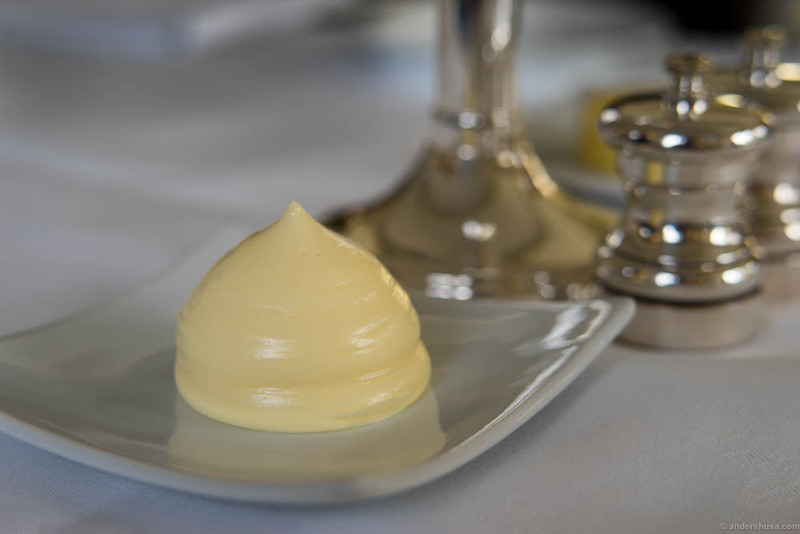 Jerusalem artichoke with a creamy spuma. It’s still not done until it’s covered in truffle. I’d like to have this on my death bed, so I can pass to the beyond happy. I must say I prefer the cooking style of head chef Brian Mark Hansen when he’s in his own kitchen. 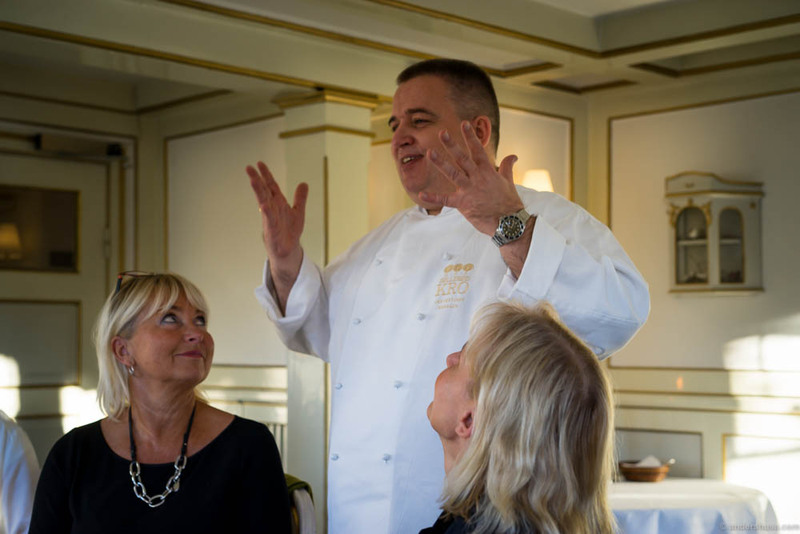 Brian was one of the eight stars at the chefs’ meet-up at hotel Frederiksminde. 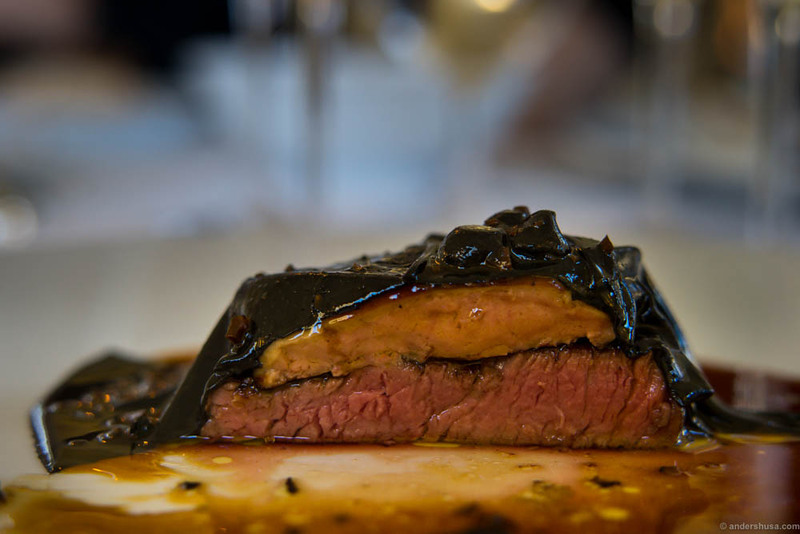 The dish he made back then had a similar element to the Tournedos Rossini we got. An impressively thin skin which covered the main ingredients. However, the secret underneath was way tastier at Søllerød Kro. A winter wonderland. Passionfruit with vanilla, coconut, brown butter and yogurt sorbet. I can only imagine how wonderful the complete experience must be at Søllerød Kro. We only got a small preview with this four-course lunch serving. Envision as well how incredible this place is in the summertime. I’m already dreaming about the next time Jan Restorff lifts his arms and utter the word: Welcome! What is your favorite Danish tavern? Please share in the comments below. This was part of a sponsored trip with Visit Denmark. The sponsor had no influence on the content of this article. I received no monetary payment. 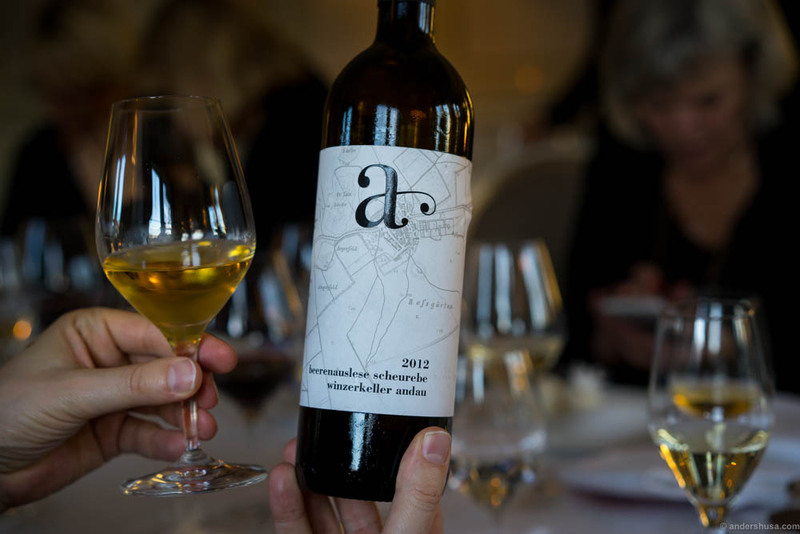 I am Anders Husa – a foodie living in Oslo. I eat at the best restaurants in Oslo, Copenhagen, Stockholm and the major food destinations in the world. I share my foodie stories here.